With almost two centuries of innovative and global experience in the development of connecting elements, SPAX is exceptional and are manufacturers of high quality, high performance screws that really are as incredible as they look. Whilst an increasing number of companies have migrated to low-wage countries, SPAX remains true to its original location and the high quality standards it represents and is proud to promote the products are ‘Made in Germany’ and are supplied with full adherence to legislation. 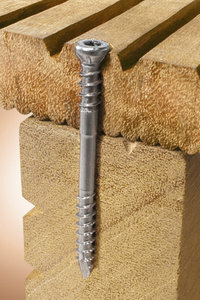 The offering is not just a range of woodscrews, but a comprehensive range of additional screw products as well.